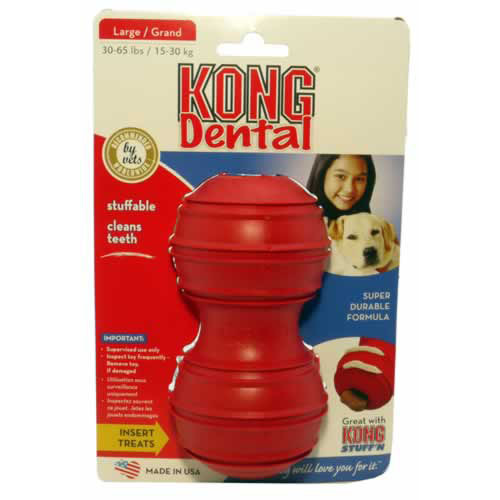 The Large KONG Dental's grooves gently massage gums, clean teeth and help to reduce plaque. The small and medium size has a cotton flossing rope great for tugging and interactive play. The large and extra large are hollow so they can be filled with food to encourage longer chewing. Alternatively, spread toothpaste into the grooves to promote good dental hygiene.